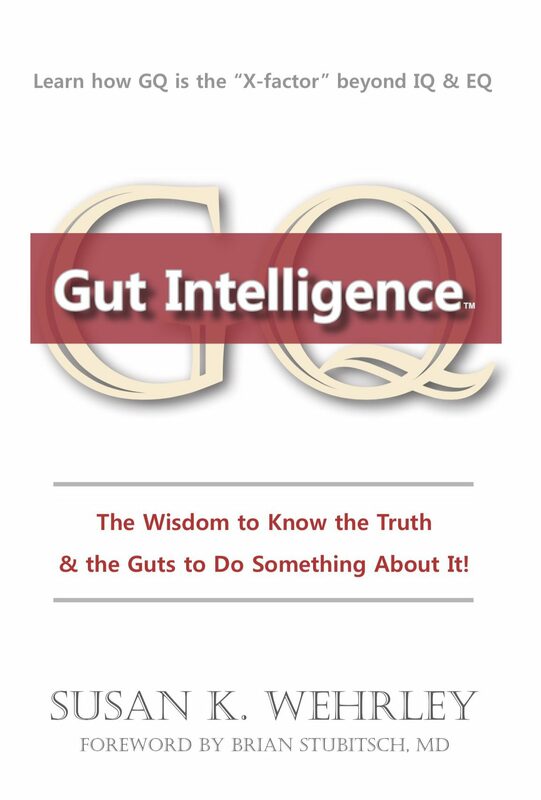 Your level of GQ (Gut Intelligence) can vary from situation to situation. In some cases, you may feel that your mind rarely chatters and you can trust your gut. In other cases, you may feel lots of anxiety that keeps you doubting your Self . Your level of Gut Intelligence is directly proportionate to your attachments to the outcome. When you have high levels of attachment to safety, security, love or belonging with a person or situation, you will have low levels of Gut Intelligence. This is because your heart is so attached on how you want something to be that you will have difficulty embracing the truth. Letting go of our attachments and our need for people and things to be the way we need them to be is a journey and an exercise to increase Gut Intelligence. You know you need to let go when you feel anxiety. Anxiety is an emotion that tells us we are afraid we are not going to get what we want. When this is the case, we can often start trying to control a situation, instead of just observing what the reality is. Next time your gut gets pinged, breathe into it and just observe what is happening around you and within you. See what shifts! Our gut alone cannot always be trusted. Sometimes our gut can send us into a frenzy with a fight or flight response. This occurs when we don’t stop to observe what is happening around and within us. The S.T.O.P. Technique from my book, Gut Intelligence, can be a great way to raise your level of Gut Intelligence. Try the following when you encounter a surprising situation or things aren’t going as you hoped. S – Slow Down and Breathe. Take three breaths to the heart—through your nose and out your nose. Then to the top of the gut three times. Then to the center of the gut three times. Gradually and slowly breathe to the gut center, opening the vagus nerve and corpus callosum, which allows you to connect your gut, heart and head-brains. Benefit: This opens the corpus callosum in our brain and aligns our gut, heart and head-brains so they can send the chemicals and neurotransmitters back and forth. It also slows down our brainwaves from beta to alpha. This quiets the chattering in our mind. T – Tune in Within. 3) What am I sensing? (Look down into your gut). Benefit: This will help you tune into your Intuitive Wisdom. It is different for everyone: Some people hear an inner voice, others see visual symbols and pictures, and others are more inclined and feel physiological promptings in their heart or gut. O – Observe what is Happening. 1) What am I hearing that is being said? Benefit: This will help you tune into what is happening around you with a heightened awareness. Curious and compassionate, you will see the situation from a more detached point of view. P – Perceive a New Possibility. Benefit: This will help you to be mindful, emotionally detached, open-minded, creative and intuitive. This contrasts with being triggered and potentially going into limited thinking or a fight/flight reaction. Because you are seeing the situation from a heightened perspective, you will receive Intuitive Wisdom to address your situation. The S.T.O.P. Technique is copyright Susan K. Wehrley and is from the book, Gut Intelligence.